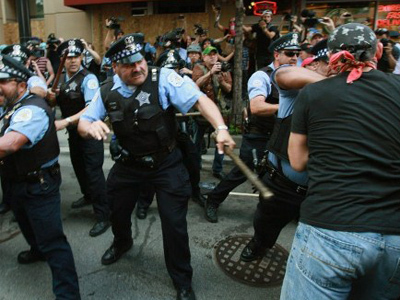 Regardless of if you condemn or condone the Chicago Police Department’s handling of last week’s NATO Summit protests, there’s no denying that the Windy City cops were indeed on the job. Why then, ask the officers, aren’t they being properly paid? 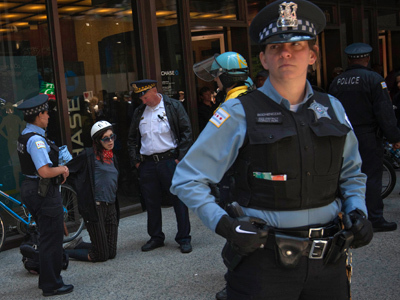 The Fraternal Order of Police has now filed a grievance against the city’s management because Chicago administrators show no sign of compensating police officers on duty during the demonstration with overtime, despite some cops working a week straight on the clock. On the website for the FOP’s Chicago Lodge 7, the group sums up the debacle with an explanation delivered with sheer sarcasm — a post published on their website this Thursday is titled “More Thanks for a Job Well Done” and its contents reveal that the Windy City boys in blue are rather angry. “An officer who is in pay status for six (6) or seven (7) consecutive days within the pay period Sunday through Saturday will be compensated at the rate of time-and-one-half for work performed on the sixth (6th) day and seventh (7th) day,” reads their clause. Shields adds that they have already filed a class action grievance on behalf of any officer who would be entitled to overtime pay because of their extended hours during the NATO Summit. 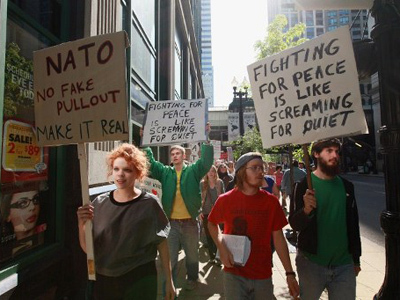 “NATO is not an excuse for the city of Chicago to circumvent the contract,” Shields said this week, reports the Chicago Sun-Times. “It clearly states that officers working overtime are to be paid in either time or money. It’s their choice. Some within the force fear that the city’s reluctance to pay the officers may be a foreshadowing of things yet to come. Next month the city’s contract with the Chicago Police Department is set to expire, but an error on the part of the FOP has made it so that Mayor Rahm Emmanuel doesn’t have to ink a new deal until a year later. Cops had expected to negotiate their terms this June, but because the department failed to file paperwork with the city informing them of such before March 1, the mayor can chose to rollover the current contract for an additional 12 months. 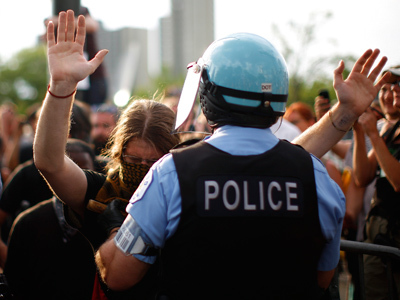 The FOP believes that the Chicago Police Department had as many as 3,100 officers working extra days during the Summit. The department’s superintendent cancelled all requests for time off during the demonstrations and ordered that each officer’s shift last 12 hours. 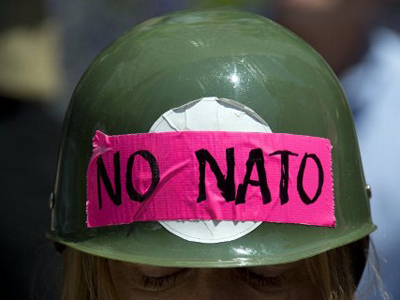 Chicago in a jam: Security services to block cell phone towers ahead of NATO summit? 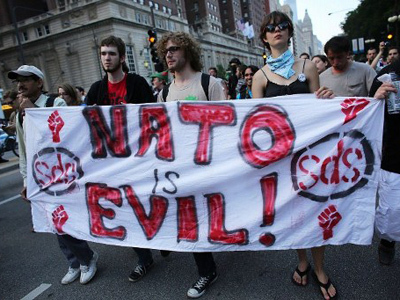 Did Chicago police mastermind alleged NATO terror plots?